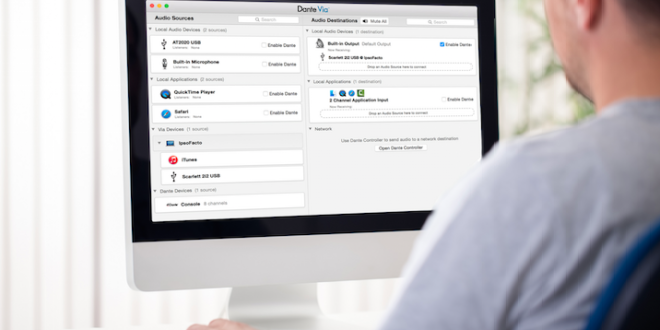 Audinate has announced version 1.1 of its Dante Via audio networking software, which connects all computer-based audio, including USB, Thunderbolt and PCIe devices as well as audio applications, to any Dante audio network. 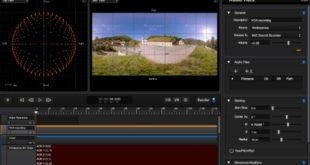 With increased performance and channel count, Dante Via 1.1 supports up to 16×16 channels of audio for each application and up to 32×32 for each connected device. 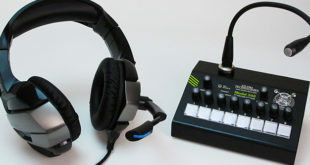 Composers, performers and recording engineers can now make audio connections between multiple applications and devices within one computer, or between multiple computers using Dante audio networking. "Dante Via has already changed the way that integrators, sound engineers and consumers use computer-based audio devices and programs,” said Joshua Rush, VP of marketing and product for Audinate. 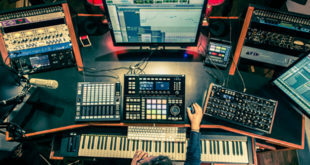 "With support for multichannel audio applications and ASIO devices, the latest version unlocks a host of new possibilities for computer-based audio." Dante Via 1.1 is a free upgrade for existing users of Dante Via, who may obtain the new version by clicking “Check for Update” in the Dante Via interface. 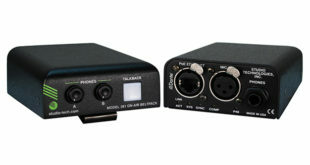 It is priced at $49.95 USD, and a 30-day free trial is available at www.audinate.com/dantevia.